Potion is a black cat covered in flecks of shiny pink. She has large, glittery green button eyes and a red button nose and whiskers. 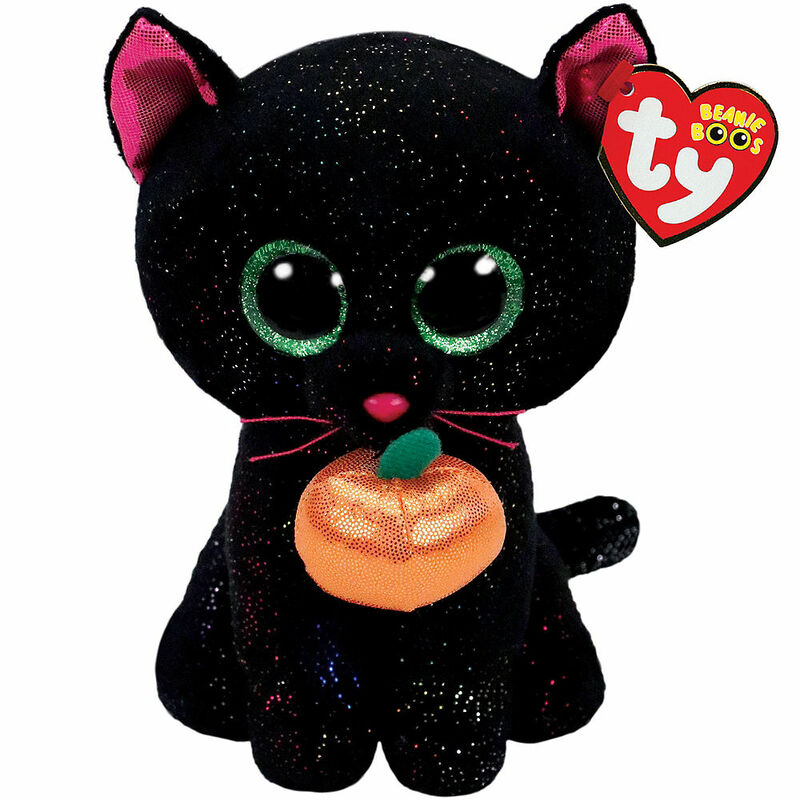 She has sparkly pink material inside her ears and she carries a large, sparkly orange pumpkin in her mouth with a green stalk on it. It could be mean, but this one’s sweet! Potion was released in July 2018. Her Birthday is on 3rd October. There are two versions of Potion. This medium 9″ Beanie Boo Buddy and a small 6″ Beanie Boo.